The Euro Crime band of reviewers continues to do sterling work over on the reviews page on the website but could do with some help as the requests for reviews are coming thick and fast via email and in the parcel safe. 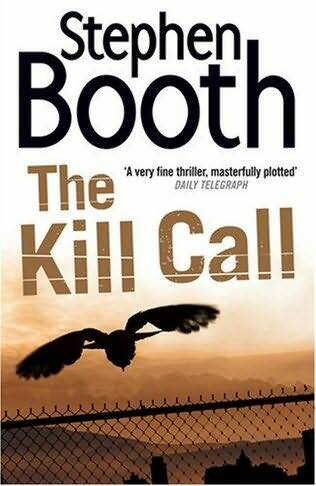 I'm particularly after reviewers who enjoy: the Martina Cole type of book, thrillers and the noir/grittier end of the crime spectrum. Plus, I am receiving more audio books and e-copies if anyone fancies helping out with those. The Inspector McLevy series is currently seven series long with an eighth to follow later this year. 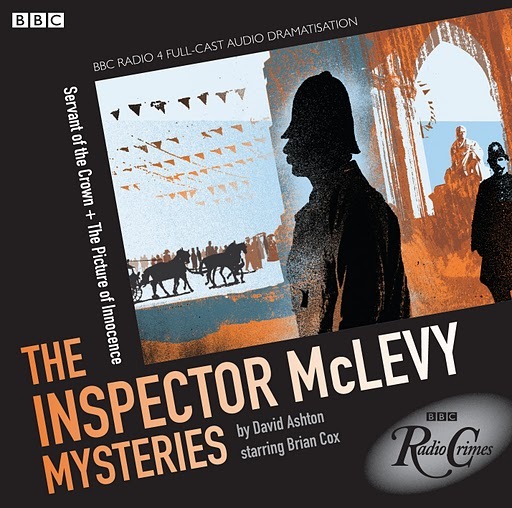 Victorian Edinburgh Inspector McLevy is played by Brian Cox and his sort-of love-interest, Brothel manager Jean Brash is played by Siobhan Redmond. Servant of the Crown is the fourth and last episode of the third series (2003) and The Picture of Innocence is from the seventh (2009) which rather explains why they don't follow on. They are both very good episodes so whether they have been cherry-picked or maybe it's because they have the theme of justice. Justice is achieved in one but not the other. Servant of the Crown has Queen Victoria visiting Edinburgh but there are rumours of an assassination attempt. There are many ex-soldiers discontented after the Crimean War. McLevy and his sidekick, Mulholland are assigned to track the assassin down as he is thought to be in Leith, a district McLevy knows well. The story also follows Tom Lambert, a former soldier now working for the Government and the two threads overlap and then form one. 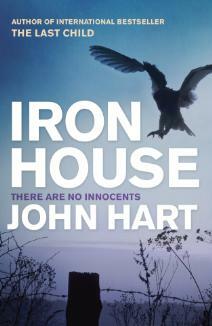 The Picture of Innocence tells the story of Judith Pearson whose husband, a judge, suddenly dies. When she asks for an autopsy he is found to be full of arsenic and she falls under suspicion of murder. Judith writes to McLevy protesting her innocence and asks him to help her. He takes pleasure in undermining the detective in charge of the case and his investigations reveal a surprising conclusion. The other thread is that of a street salesman selling a potion to quieten fractious children which has almost resulted in an overdose of two young twins. Again, one story-line weaves into the other and leads to vital information. I enjoyed these two mysteries very much. There's something alive about them. A bustling world is recreated and the cast is excellent. 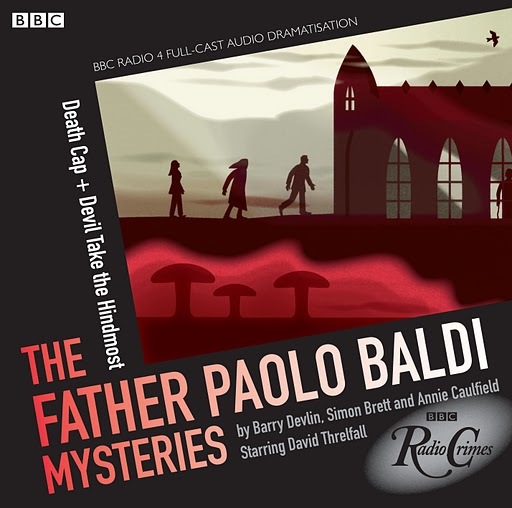 There's a smattering of Scottish words to keep you on their toes, and the tone is a bit bawdier than in the Father Paolo Baldi mysteries! Servant of the Crown does contain a gurgling death scene which was actually quite moving and The Picture of Innocence is a good puzzle. I plan to seek out more of this series. Do please vote in the International Dagger polls (top right of blog). 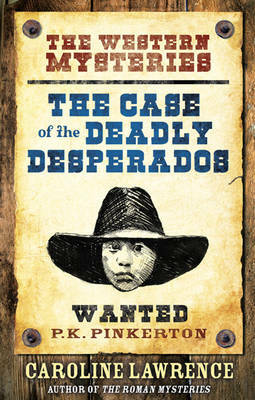 and Terry Halligan reviews Gerald Seymour's The Dealer and the Dead now out in paperback. 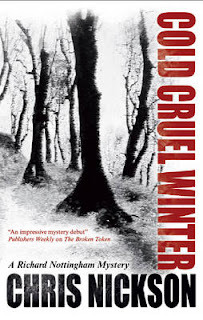 The Euro Crime review by Geoff of Cold Cruel Winter will be uploaded very soon. The review by Michelle of Broken Token is here. After reading the review, if you fancy getting hold of Broken Token then the author has a few copies left at a bargain £3 plus postage (see here.) This is due to Creme de la Crime now forming part of Severn House which does mean (from my experience working in a community library) that new books in the Creme de la Crime imprint will be more widely available in libraries and in larger quantities. This is a release of the last two episodes in the first series of the Father Paolo Baldi Mysteries and were originally broadcast in 2000. Currently there are five series and twenty-eight episodes. Paolo is played by David Threlfall from Shameless. 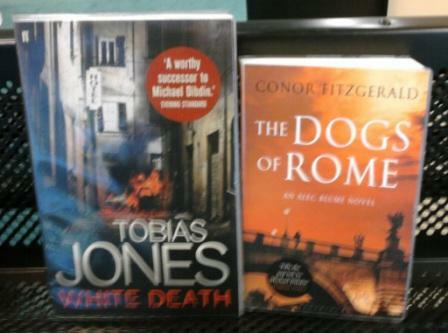 In these two, Paolo is a priest who is working as a lecturer in Dublin, taking a year out from his priestly duties. In Death Cap Paolo is spending the weekend in a retreat at a monastery in the country where he is joined by another refugee from modern life. They are made welcome by the brothers though the occupancy is much reduced. An elderly priest goes missing and when he's found dead it's soon found to be murder. Paolo gently investigates and his close friend Garda (DI) Tina Mahon soon joins him. The denouement is a traditional set-up such as you'd find these days in tv's The Mentalist. Devil take the Hindmost is set in the college where Paolo works. He's having to decide whether to return to the priesthood or leave and his (platonic) relationship with Tina is making it hard. A fire on campus leaves a dead student behind. The student and his friends call themselves The Four Horsemen and seem to be dabbling in the darker arts. The friends claim it was suicide but repeated questioning from Tina and Paolo reveals the truth. These cases are a cd each, lasting forty-five minutes, and are intriguing mysteries given the short-length and hold the attention, and as they are radio productions there's no bad-language or gore. The characters are only lightly sketched in but I did like the strong female detective, played by Tina Kellegher. Despite the Italian-name, Paolo speaks with an English (Manchester?) accent - this may be explained in the earlier mysteries. The end of the second case leaves Paolo having made his decision and I'd be interested to see how that works out for him. The second series is currently being broadcast on Radio Four Extra. 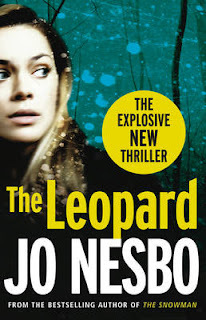 The Random House Group UK is delighted to announce the publication of Jo Nesbo's eagerly-awaited sequel to his # 1 bestseller The Leopard. Phantom will be published in English in spring 2012. The newly-published Norwegian edition has gone straight to the top of the bestseller list in Norway, and the paperback edition of The Leopard sits in the # 1 spot on Norway's paperback chart. Karin Alvtegen's first novel Guilt is her only crime novel not yet translated. Her most recent book is not crime at all. She's not writing at all at the moment as she has no ideas. She worked very closely with translator Steven Murray on Shadow and Shame. It's up to the translator to find the rhythm in their own language. Three years after the death of her brother, which occurred when she was 9 months pregnant, she had a breakdown and whilst on sick-leave sat and wrote Guilt. She says she has to know the whole story in her head before writing it down. Håkan Nesser fifth and last Barbarotti is in the computer at the moment. He doesn't understand Van Veeteren at all but Barbarotti is like a little brother so he is more in control. In response to a question from the audience, he said Van Veeteren's fascination with tooth-picks is because he's an ex-smoker. High density of crime writers in the 25 million population of Scandinavia. Jakob's succinct answer to why are Scandinavian authors so popular at the moment is that "they are damn fine writers". 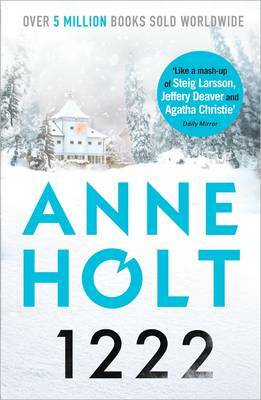 Authors who write in English such as Elizabeth George, P D James, Ruth Rendell and Minette Walters are very popular in Sweden. It's ironic that 80% of books translated are from English as many Swedes can read English. Someone was live tweeting in front of us so you can read more snippets from this talk and other WLW events on twitter at #wlw11 and especially at @lrbshop. Today, on my other blog, I've recommended some teenage crime fiction books I've enjoyed over the last couple of years. 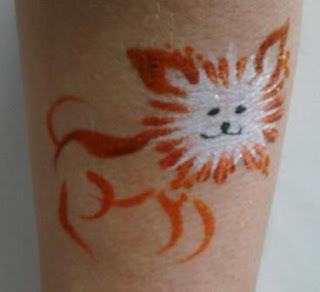 They are mostly British and are aimed at teens rather than the YA audience. Plus there are a few suggestions for books that I haven't yet read and other recommendations are most welcome in the comments. My post is here if you are interested. If you know someone who loves children's crime fiction then I've put a few more suggestions together on the other blog These are all books aimed at <12s and are straight crime novels, no paranormal influences. National Crime Writing Week concludes today but I have a couple more posts to come and then a more usual service on this blog will resume. 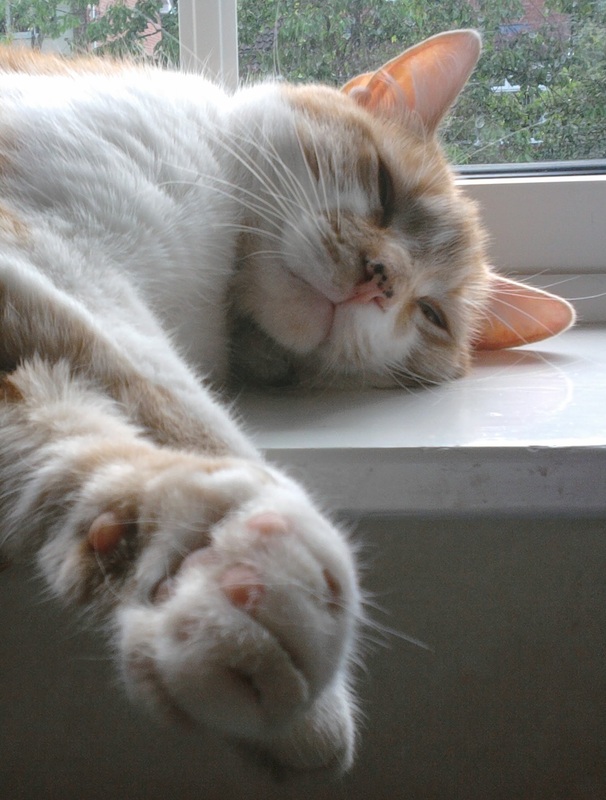 Many thanks for your patience if the last week hasn't been of much relevance. 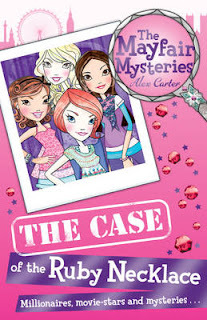 I've now compared the five books/series I've sampled this week, featuring the younger crime solver, and crowned one of the authors the next Enid Blyton. Check out who it is, here. All the books were good and I've enjoyed this self-appointed project very much. I have a couple more posts on recommendations to upload and then the competition will be unveiled. This week, over on my other blog, I'm running a series of posts highlighting crime/adventure novels, which are a bit like Enid Blyton's, or at least are for the younger reader. Today's post is a review of the first book in Adventure Island series by Helen Moss, The Mystery of the Whistling Caves which takes place on a Cornish island. The week's schedule is here plus I have a couple of extra posts in mind. Look out for the smashing competition, coming soon. ..yes a quote from my review of the hardback edition. 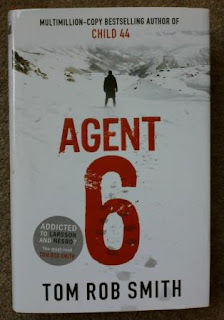 As Jo Nesbo/Don Bartlett conspire to make Harry Hole one of my favourite series, I am doubly chuffed. 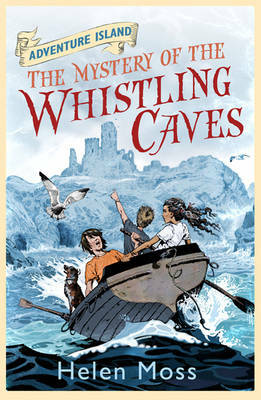 This week, over on my other blog, I'm running a series of posts highlighting crime/adventure novels, which are a bit like Enid Blyton's, or at least are for the younger reader. 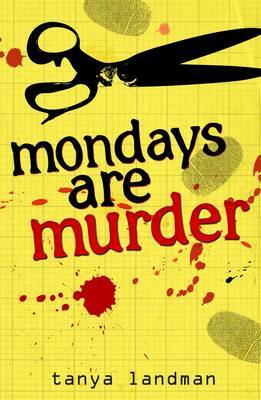 Today's post is a review of the first book in Poppy Fields series by Tanya Landman, Mondays are Murder which takes place on an isolated Scottish island. AMC has ordered a second season of "The Killing," a serial drama based on a Danish series about the search for the killer of a teenage girl. Mireille Enos and Joel Kinnaman star as Seattle homicide investigating the murder. "The Killing" premiered to 2.7 million viewers April 3 and is averaging 2.2 million viewers so far this season. It ranks as AMC's second-highest-rated first-season drama after "The Walking Dead." Series creator Veena Sud ("Cold Case") will return as showrunner. Fox Television Studios president David Madden, whose company produces the hourlong drama, told The Hollywood Reporter in April that "The Killing" was a risk when it launched. "'The Killing' is as risky in its form as '24' was when it launched. We'll take a season to tell a very careful, deliberate, twisting/turning mystery that is almost more novelistic in its approach," he said. 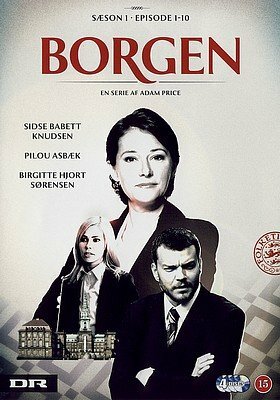 Borgen is a compelling drama series about the fight for political power and its consequences. 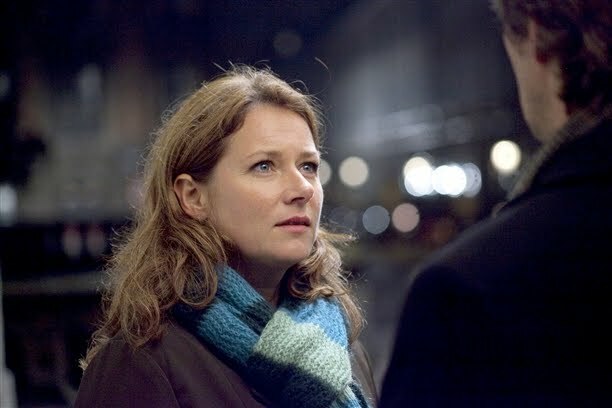 Sidse Babett Knudsen plays 40-year-old party leader Birgitte Nyborg who successfully secures a surprise election victory only to discover the biggest challenge of her life is yet to come. Privately, Birgitte leads a happy family life with her husband and two children. She is a woman with a burning commitment, a big heart and too little time. Her challenge to be a successful politician and remain true to her beliefs will involve personal sacrifice with far reaching consequences for all those involved. Borgen's mix of complex characters include cynical but brilliant media adviser, Kasper Juul, and young television political journalist Katrine Fonsmark, whose screen presence has quickly earned her popularity but whose personal life threatens to destroy everything she has worked so hard for. 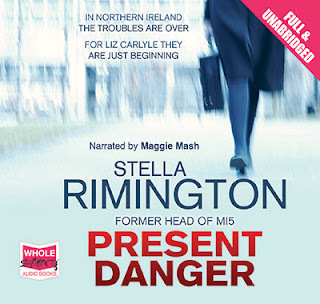 Present Danger is the fifth book to feature MI5 agent Liz Carlyle. When a personal relationship between Liz and her boss that's been brewing in the last four books looks like it could come off, the powers that be decide to interfere and post Liz to Northern Ireland. MI5 has taken over the intelligence gathering role there and Liz will be back to her role of agent-running. Her arrival does not go smoothly when her hire car has a blow-out and she's very nearly seriously injured. However old friends from earlier books, Dave Armstrong and Judith Spratt are on hand to help her settle in. 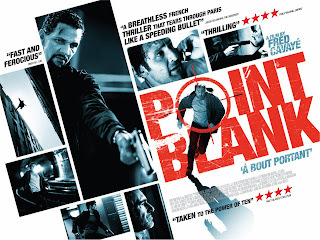 Present Danger has Liz travelling between France and Ireland and working with French intelligence agent Martin Seurat in a tense hunt to find Piggott and his entourage before the unthinkable happens. As always with this series, Present Danger gives the reader that inside view into the very private world of the intelligence services and the reader is left wondering how much is true and how much is fiction. The plot does hinge on some unprofessional actions by both Liz, Dave and Judith but it makes for an interesting listen and and a very tense final few chapters. It's a solid thriller but not as gripping as say At Risk. There is regular recapping and sometimes surveillance scenes are described in detail and are of interest - to see how these things are done - but do not add much to the plot. A personal vendetta motif runs through this series and Present Danger is no different. Also as usual I enjoyed Maggie Mash's narration. Her Liz is a very cool customer and one that may be moving on from the romantic yearnings of the previous books. 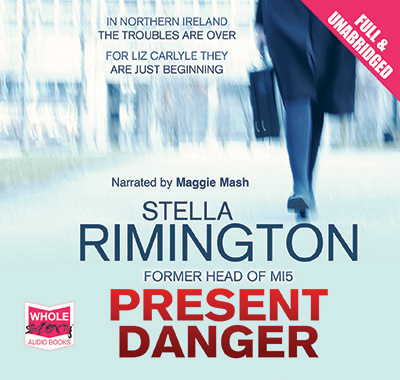 Regular listeners to this series may have noticed that Peggy Kinsolving's accent has moved from the Midlands to Northern over time but a slightly puzzling thing is that Dave has had a Northern Ireland accent in the last couple of audio books but in Present Danger he is occasionally referred to as English - I don't know if that's how he's seen by the Irish or if he is actually English in the books. Nonetheless whatever the accents used, Maggie Mash performs them well and I hope it won't be too long before the next book, Rip Tide, is made available on audio book. Read another Euro Crime review of Present Danger. This week, over on my other blog, I'm running a series of posts highlighting crime/adventure novels, which are a bit like Enid Blyton's, or at least are for the younger reader. Today's post is a review of the first book in The Mayfair Mysteries by Alex Carter, The Case of the Ruby Necklace which revolves around a famous guest at a posh hotel. Look out for the smashing competition at the end of the week. This week, over on my other blog, I'm running a series of posts highlighting crime/adventure novels, which are a bit like Enid Blyton's, or at least are for the younger reader. Today's post is a review of Caroline Lawrence's first PK Pinkerton mystery, The Case of the Deadly Desperados which is set in the Wild West in the 1860s. This week, over on my other blog, I'm running a series of posts highlighting crime/adventure novels, which are a bit like Enid Blyton's, or at least are for the younger reader. 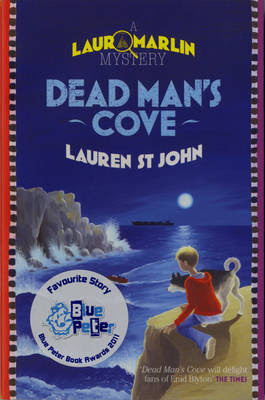 Today's post is a review of Lauren St John's first Laura Marlin mystery, Dead Man's Cove which is set in the beautiful St Ives. Allison & Busby has acquired two books by crime writer Jacqueline Winspear, with the author moving from John Murray to the independent. bought UK and Commonwealth rights (excluding Canada) to...books seven and eight in the Maisie Dobbs series, set just after the First World War. A&B will publish The Mapping of Love and Death, the seventh book in the Maisie Dobbs series, in hardback in November 2011, which will be followed by A Lesson in Secrets in March 2012.
and Maxine Clarke says it's worth reading Jan Costin Wagner's Ice Moon before The Winter of the Lions, tr. Anthea Bell to get the full impact of the events in the personal life of the lead character. I haven't had chance to listen to this yet but Authors on Tour, who recently produced a podcast featuring Camilla Lackberg, which I wrote up here, has released one featuring Donna Leon speaking about her twentieth Brunnetti novel, Drawing Conclusions. You can listen to it here or you can subscribe via iTunes (search for Author on Tour). "Addicted to Larsson and Nesbo? 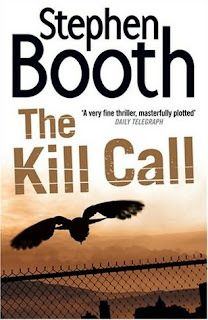 You must read Tom Rob Smith"
"Like a mash-up of Stieg Larsson, Jeffery Deaver and Agatha Christie, Daily Mirror"
I highlighted a few more examples earlier in the year. Traditionally, one of my favourite authors/series has been Elizabeth's Peters's Amelia Peabody series set in Victorian England and Egypt. I'm so far behind in reading her I'm not sure I can claim her as a favourite at the moment but she has left me with a fondness for Egypt-set crime which was why I was so looking forward to what turned out to be the incredibly disappointing The Cairo Diary by Maxim Chattam and why I sought out Clare Curzon's Guilty Knowledge several years ago. 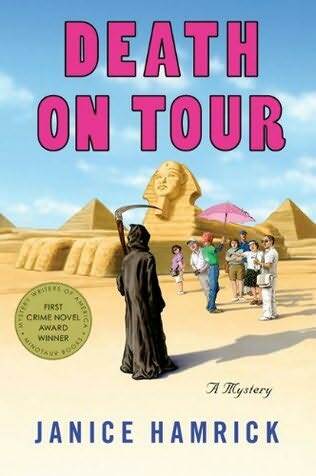 Texas high school teacher Jocelyn Shore and her cousin Kyla are on a once-in-a-lifetime guided tour of Egypt with a motley crew of fellow travellers when the most odious of the bunch, a nosy, disagreeable woman named Millie Owens, takes a fatal fall off of one of the great pyramids. And that's only the beginning. From the guide who always seems to be off on his mobile phone having the most urgent conversations to the young woman who begs off of almost every excursion claiming to be ill to the supposed married couple who can hardly speak to each other, Jocelyn and Kyla's tour group is full of people who may or may not be exactly who they say they are. And one of them may very well be a murderer. Janice Hamrick's "Death on Tour" is a delightful debut and the beginning of a wonderfully charming cozy series featuring the determined teacher Jocelyn Shore, who always seems to get wrapped up in a mystery against her usually very sound judgement. In an effort to rejuvenate his flagging career, crime novelist Ethelred Tressider decides to set his new book in Egypt and embarks on a ‘research trip’ with his literary agent, Elsie Thirkettle, in tow. No sooner has their cruise on the Nile begun, however, than an attempt is made on Ethelred’s life. When the boat’s engine explodes and a passenger is found bloodily murdered, suspicion falls on everyone aboard – including a third-rate private eye, two individuals who may or may not be undercover police, and Ethelred himself. As the boat drifts out of control, though, it seems that events are being controlled by a party far more radical than anyone could have guessed. 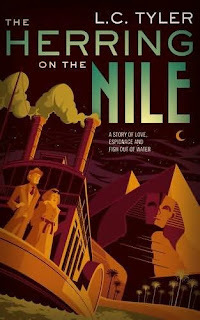 Herring on the Nile is an ingenious mystery, and a darkly funny tribute to Agatha Christie and the golden age of crime fiction. 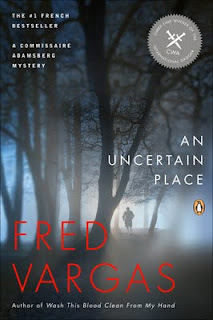 This week's selection for "cover opinions" is the US and UK covers for Fred Vargas's CWA International Dagger shortlisted, An Uncertain Place. 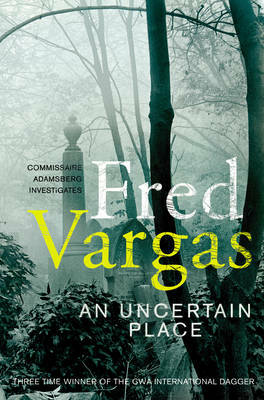 Read the Euro Crime review (by me) of An Uncertain Place tr Sian Reynolds. World Book Club invites the globe's great authors to discuss their best known novel. This monthly programme, presented by Harriett Gilbert, includes questions from World Service listeners. The most recent author to feature is Val McDermid and prior to that, Boris Akunin. The interview with Jo Nesbo is still available as well as several more at the BBC website. From the director of Pour Elle (Anything For Her), comes Point Blank which has its UK release on 10 June. Everything is going well for Samuel and Nadia, his beautiful wife. He is studying to become a registered nurse and she is expecting their first child. But everything changes when Nadia is kidnapped right in front of Samuel, who is knocked out cold, trying to stop the kidnapper. When he comes to, his phone is ringing; he has just three hours to get Startet, a man who is under police surveillance, out of the hospital. Samuel’s destiny, now lays in the hands of Startet, a man who is not only wanted by the police! If Samuel wants to see his wife again, he has to act fast. Here's the (fairly violent) trailer. and Lizzie Hayes reviews the latest case for Galloway DI Marjorie Fleming in Aline Templeton's Cradle to Grave now out in paperback. Thanks to Random House, Euro Crime has 1 set of the four books published (Sacrifice, Awakening, Blood Harvest, Now You See Me) by S J Bolton to giveaway. To enter the draw, just answer the question and include your details in the form below. This competition is open to UK & Ireland residents and will close on 30 June 2011. It was a busy day and we had nearly 750 visitors. 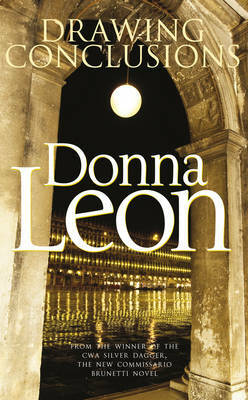 The forthcoming trio of titles are described as "literary conspiracy thrillers", with the first to be published in March 2013. Harper's previous titles include Lost Temple and The Book of Secrets. 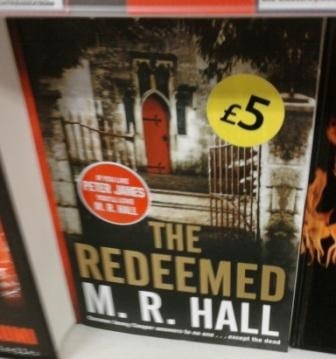 "Tom Harper has been for a long time one of the best young British thriller writers on the scene, writing upscale and completely riveting time slip stories which entertain and educate at the same time. It's time for a quantum leap in his publishing and his profile and I'm delighted to welcome him to the Hodder list." Read the whole article at The Bookseller. "If you like Peter James you'll love MR Hall"
Suely it's only a matter of time before Christobel Kent's Florence series gets the same treatment? 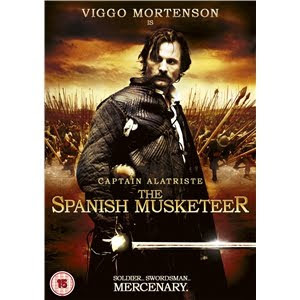 Viggo Mortensen stars as Captain Alatriste, the Spanish Musketeer, in this tale of war, betrayal and intrigue in seventeenth-century Imperial Spain under the reign of the weak and easily manipulated King Felipe IV. Alatriste has returned to Spain to find it a very different place and life is not what it once was. As a last wish to a dying friend he agrees to take charge of the young Inigo Balboa (Unax Ugalde) and protect him from both a military career and the Machiavellian woman whom he desperately loves. Witness the adventures of Captain Alatriste as he endures great love and hatred intertwined with momentous battles and duels set in the epic backdrop of the sprawling Spanish Empire.